Caffeine is the number one used substance in the world. Whether you get your jolt of energy from a cup of coffee or tea, or an energy drink doesn’t matter. But what about caffeine as a memory booster? Does it work? Up until now there has only been speculation. While we may think that it works for our memory where is the proof? Certainly thousands of students each semester cramming for exams would tell you that it is a wonder drug. However, the fact is that there has been no proof until now. Recently a study published in the Journal of Nature Neuroscience gives us the evidence we have been waiting for. A group of 73 volunteers were asked to look at a variety of images. Half the group was then given 200mg of caffeine and the other half a placebo. The following day they were shown images, some the same and some different, to distinguish recall and memory. While both groups did well, it was the group who had been given the caffeine that “were much sharper at identifying the similar items in the lineup” (Presse, 2014). However, while this study certainly has validity it does not take into consideration the negative effects associated with caffeine. 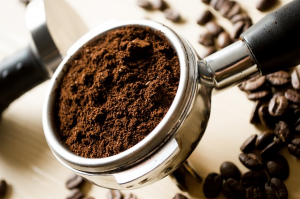 While Dr. Yassa did clearly indicate that higher amounts of caffeine are not correlated with improved memory, it still does not address the negative health effects and risks involved. These need to be considered before starting any type of caffeine regime for memory improvement. The truth is that there are millions of people that suffer from caffeine sensitivity and there are known effects like irritability, shakes and jitters, headaches, nausea, depression, etc. that are all associated at varying doses. So the question we need to be asking is which is the lesser evil? Do we improve memory at the cost of other health concerns. This is certainly a very personal decision and one that should be considered carefully. So there you have it. The number one substance used worldwide, as well as, the favoured study buddy for exams.